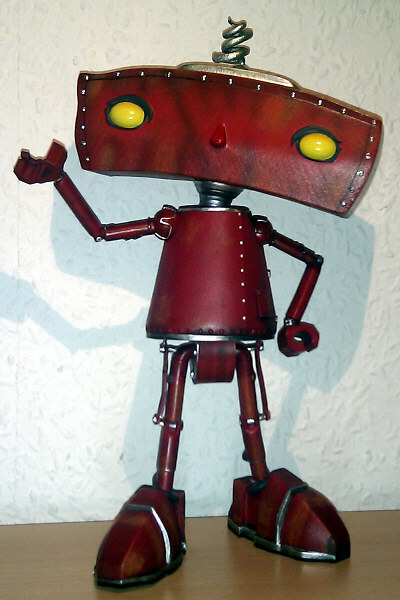 Owned by J. J. Abrams, Bad Robot Productions is the production company behind LOST. 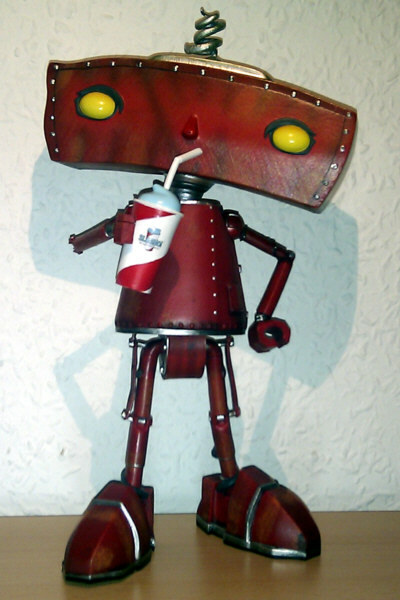 The Bad Robot is seen in the end titles of each LOST episode, where he runs through the grass and suddenly appears in the foreground. 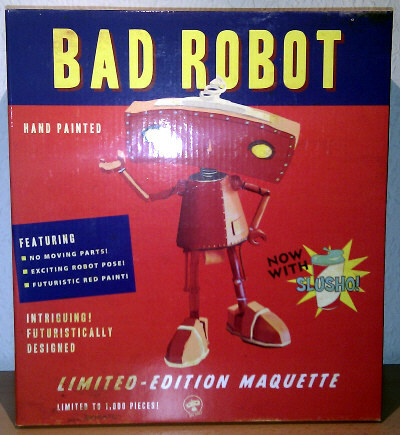 Quantum Mechanix (QMx) released a Bad Robot Maquette in February 2011. 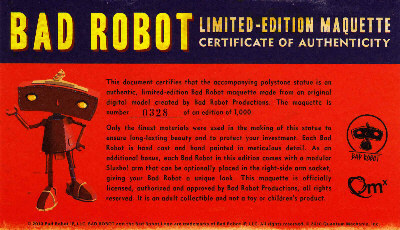 According to the packaging, it is hand painted and features no moving parts, exciting robot pose, futuristic red paint and comes with an additional modular "SLUSHO!" arm. Sculpted from the original digital model, the statue is 10 inch tall, cast in solid polystone and weights really heavy. The figure is limited in an edition of only 1000, is individually numbered and comes with a certificate of authenticity. And I have to say the maquette with its "exciting robot pose" looks really awesome and the hand painting is very accurate done, it's a great addition to my shelf. ... and suddenly appears in the foreground.